I open in Visual Studio Code, duplicate the theme(copy) and apply it, open the theme css then look for colors (in 'code' there's a colour preview next to colour entries to make it easier). Ah, Oomox already does it, so has a plugin for Suru++ and Suru++ Asprómauros. Yes, use Oomox and select Suru++ 25 (not Dark), to change any colour of actions, panel and status, and you also can enable gradient colour for apps, mimetypes and places (actions and status do not support gradient colours yet). As you are a Manjaro user, I recommend you to install via AUR. Suru++ Dark does not have a Oomox plugin yet, and does not have gradient colours support yet. I must update the theme tomorrow. Then I will upgrade Suru++ Asprómauros from Suru++ Dark. OK got it install with the AUR but I have no idea how that works. There is no suru++25 to select. Is that a preset ? I translated Oomox in French. :-) It will help you to find. 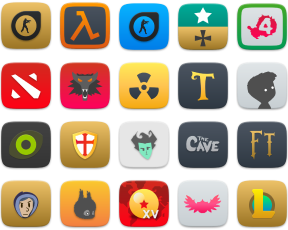 If I could suggest an easier way to deal with the use of your icons on clear or dark themes, it may be better to provide two different sets of icons ready to go, as some do. I have just upgraded Suru++ Dark, supporting gradient support and adding new three folders colours. The only issues that I have is the tray icons (sound, network, updates) which are too pale for a light theme. Also to be picky, the drive icons in Thunar are a bit odd . A blurry circle with a small pick. I guest it's a HDD arm on a platter? It's better in Nemo (monochrome icons?). 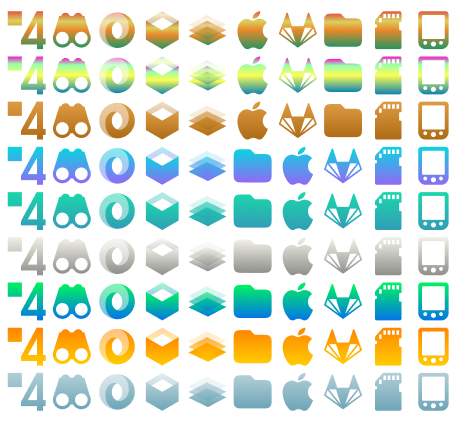 The others icons are lovely. I am new with Oomox so how do I "import" your theme in the program ? Ok Suru++ Dark is for dark theme obviously so Suru ++ is for light theme so it should be optimized for those. Please post the screenshot that I'll investigate the icon bugs. As for importing and exporting. Only it is possible to export. There is "Exporter icônes". If you want to import Suru++ Dark or other theme, you need to replace the Suru++ with other icons theme and rename to Suru++. I'll suggest the developer of Oomox. This is the drive icons used on thunar and desktop for drives-file manager. Matter of taste but not very nice. Here we go again, like last time. I will try to find out which icons are used for the tray. 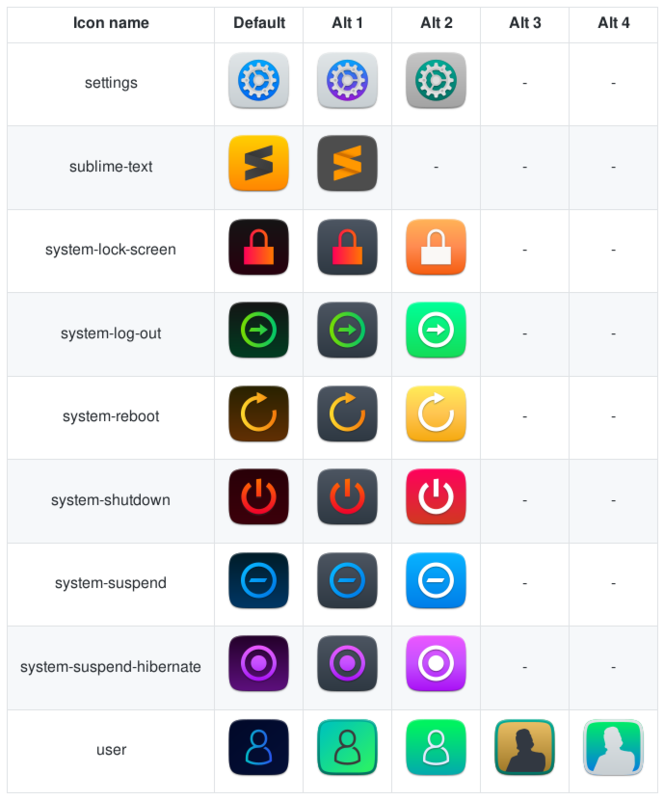 As for the poomoxx gizmo, how can I modify your icons set if I cannot load your theme ? Anyway, forget about this one for me. Don't despair, these are not critic about your work but ideas to make it perfect ! Sorry, I notice that the drives icon (blurry circle) is also use on the desktop. Imo not my best choice. Please, can you post it that I'll investigate? Oomox does already it. You can choose any colour. But can you give me some example that some icons need to be improved? I have upgraded Suru++ 3 months ago and Suru++ Dark last month. Ciao Andrea, molte grazie! Aspetto che ti piaccia il nuovo ridesgno, le nuove funzioni/opzioni del repositorio.